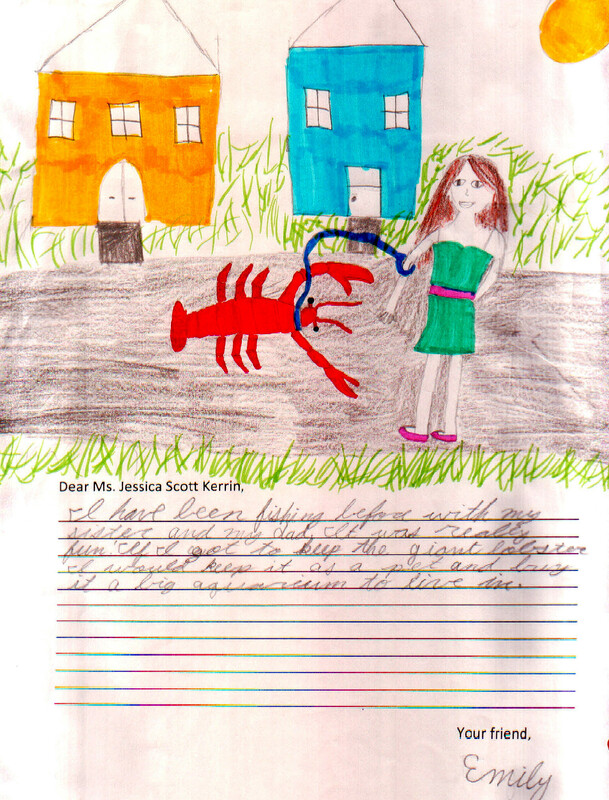 Your drawing of a pet lobster is wonderful. The houses remind me of my own neighborhood painted in bright colours and the hot sun beating down (it was 32 degrees yesterday!) with girls in sundresses. Your giant lobster is also beautifully drawn. I’m glad you both are getting your exercise, even in this heat!